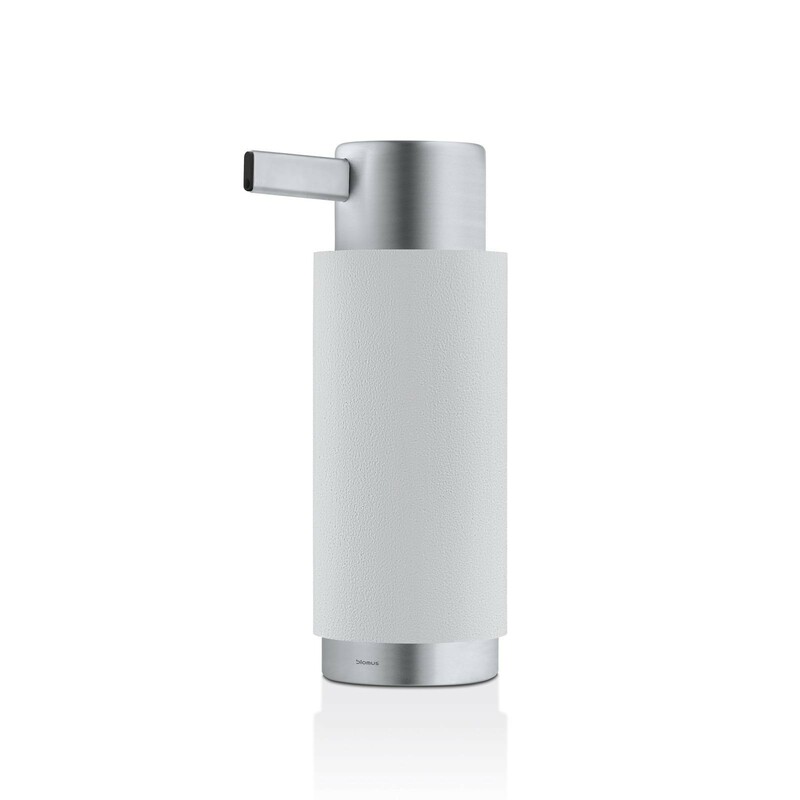 ARA Soap dispenser by Blomus blends stainless steel with polystone to create a unique product that looks good, works flawlessly and feels nice to the touch. 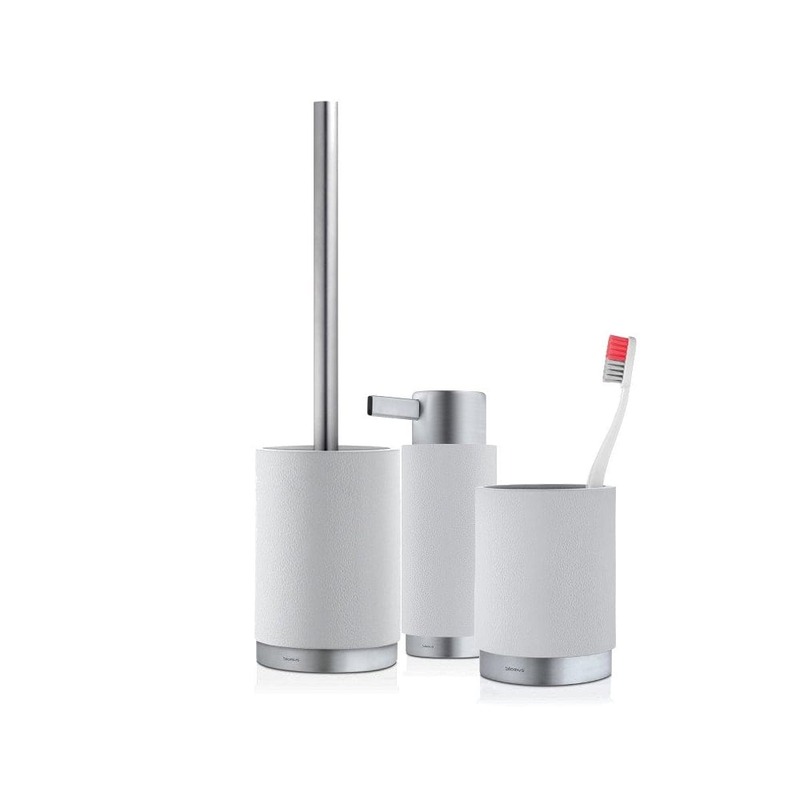 More style for your bathroom: The ARA soap dispenser introduces a brand-new material combination to your bathroom: Polystone and stainless steel not only look good together, but combine different advantages, making the ARA soap dispenser much more than just a usable object. Clear design – big impact: The ARA collection impresses with its characteristic shapes, which give objects their expressive quality, and the ARA soap dispenser is no exception: With its large, round body and angular spout for the contents, the effect is quite simply impressive. 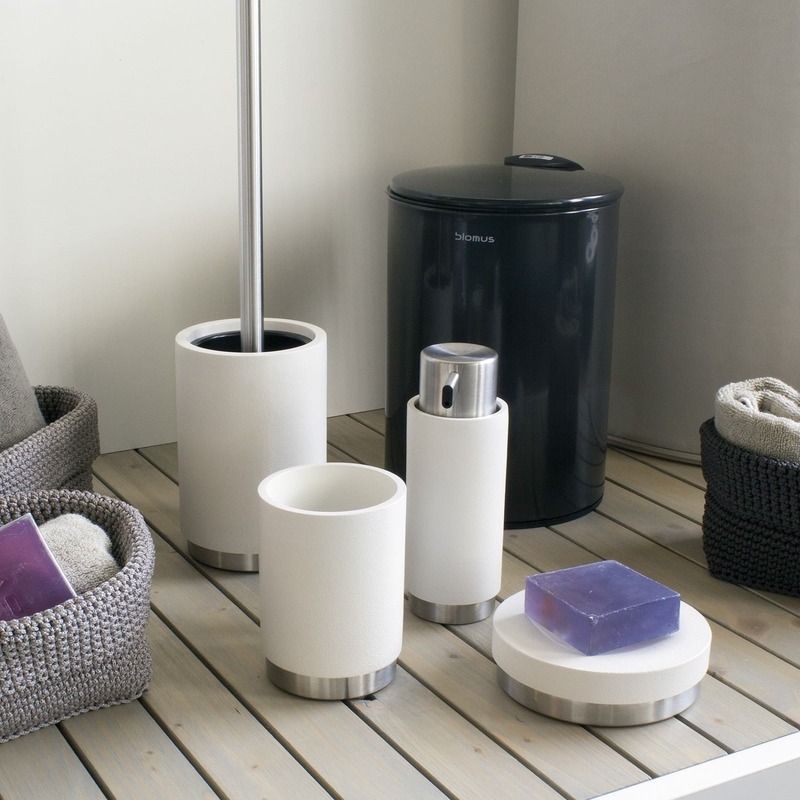 This makes the soap dispenser an eye-catching feature of your wash basin as well as accessory, to make your bathroom a place you feel at home and lend it a personal touch. Charming combination of materials: The visual effect of the ARA soap dispenser is reinforced by its materials and their unique interplay. While the stainless steel exudes cool elegance, the artificial stone gives the soap dispenser a natural feel. This creates a combination in which the contrasting materials come together as one, thanks to the simple shape. This double contrast makes the soap dispenser something quite unique, without becoming obtrusive in a decorative ensemble. 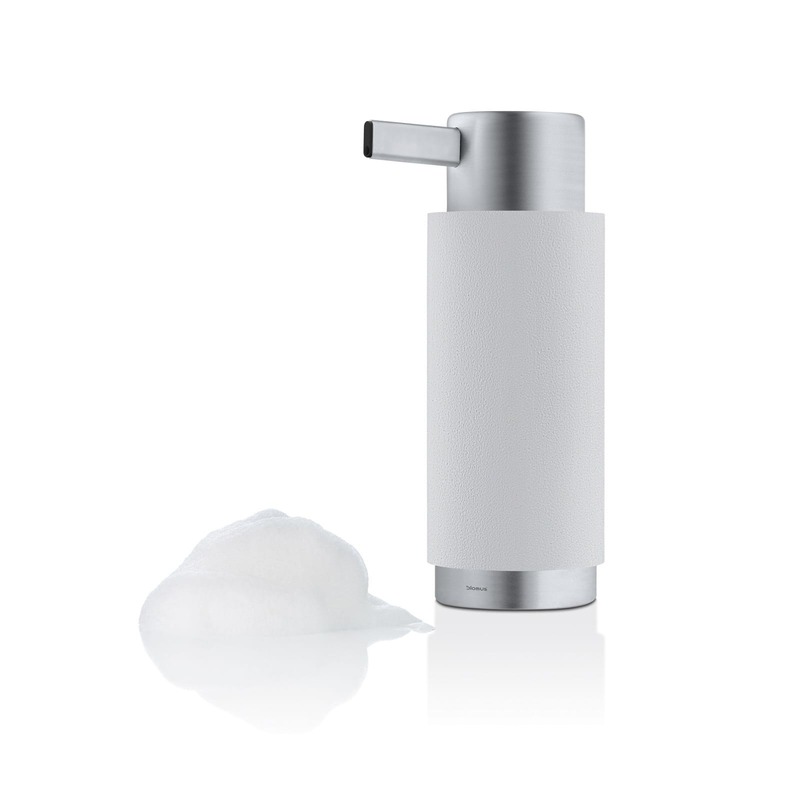 Quality to impress: The ARA soap dispenser is not only about design with a volume of 150 millilitres, it will also impress you with its “internal values” as there is no need to refill it too frequently. As usual for blomus, the finish is extremely high in quality and the moving parts are very robust. The finish in stainless steel and polystone parts is also sublime. As a bonus these materials are also easy to clean, an advantage that makes all the difference in a soap dispenser. 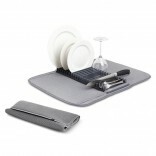 Dimensions: Height 16,8 cm Width 6,1 cm Length 8,2 cm.